Posted by Sam Smith on Thursday, May 30th, 2013 at 2:51pm. The market is on the upswing in the Ocean Hills community as a recent sale of a 2 bedroom condo that sold for $600,000 after being on the market for 4 days. This is a dramatic change from what we saw last summer when homes prices dipped down in the low $300,000 range. I personally represented the buyer in Ocean Hills home at 724 Calle Casita that sold as a short sale for $315,000 in September of 2012. Since then inventory of homes dropped significantly until the property at 3709 Calle La Quinta came on the market and sold in 4 short days for $1,000 above the $599,000 asking price. The home was a highly upgraded residence that resembled a $2 million dollar home with extensive use of Travertine and Granite in the Kitchen and Baths. The renovation continued throughout the house and even included a highly upgraded 2 car garage interior! Now, I'm aware of a private sale in the community where a bank owned property recently sold for $350,000. This is an excellent canadite for a flip property as real estate values are on the rise in this community. If you own a home in the Ocean Hills community we encourage you to contact us to learn the retail value of your property. Right now we are seeing a large demand for ocean view homes in the $600,000 range so now may be excellent time to cash in on your equity. The Ocean Hills community is a great place to live with several community pools and a small golf course. The location is directly across the street from the Trader Joe's shopping center and very easy access to the 5 freeway. Currently, home prices start at $500,000 and go as high as $639,000. Prices will fluctuate depending on the view, size and condition of the home. 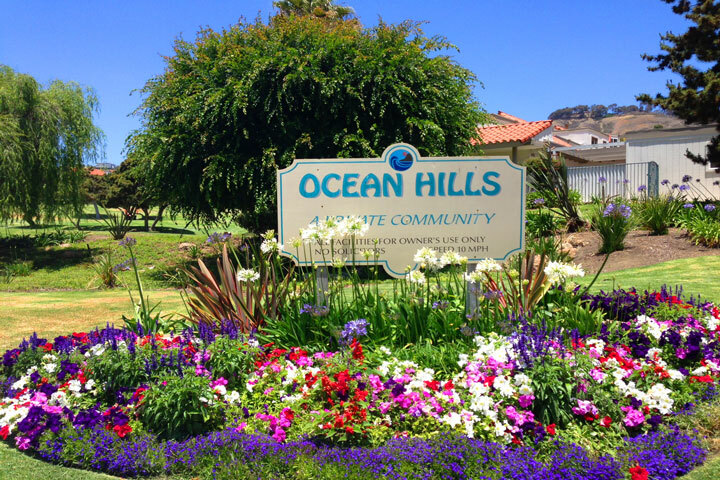 Below are the current homes for sale in the Ocean Hills ocean view community.